On 29 March, the strategically valuable system of M-OEE8, long held by the Imperium, fell to the then newly formed Moneybadgers Coalition in a 3000-Capsuleer battle the likes of which New Eden had not seen in years. 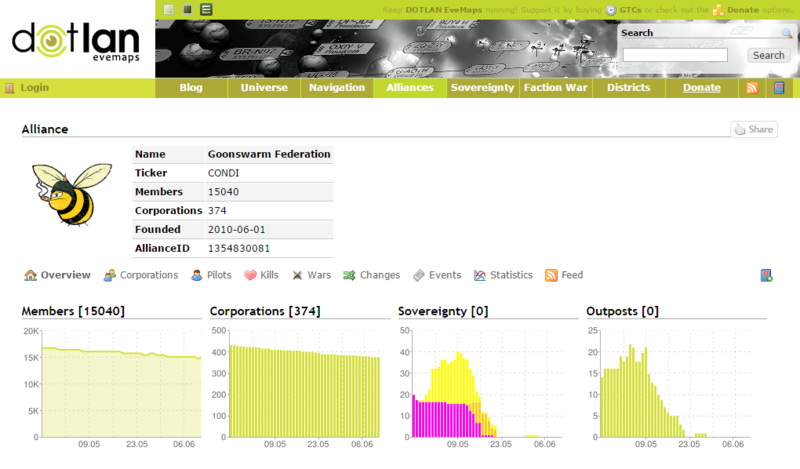 By the end of the night, The Imperium had lost the system’s sovereignty, Moneybadgers Coalition was in control of the system, and World War Bee had begun with a price tag of almost 460 billion ISK in that first night alone. That battle marked the start of a war between the Imperium (formerly the CFC), a massive empire led by Goonswarm Federation, and the Moneybadgers Coalition (MBC), consisting of long-time Imperium enemies Pandemic Legion and their allies – including former Imperium allies TEST Alliance Please Ignore (in the fight for revenge after the Fountain War). The war is rumored to be financed by one of the wealthiest entities in the universe, the entertainment provider I Want ISK. A flock of alliances and corporations rallied to the Moneybadgers flag, determined to take down what they saw as the Imperium’s stranglehold on nullsec. Others, like the Brave Collective, joined for the glory of the thing, and the joy of the fight. No other battle of that size was fought again in that war. MBC pushed the Imperium steadily back until now, months later, there is a feeling among Capsuleers that The Imperium has all but lost the war. The Imperium has been pushed back into Saranen, a lowsec system, from where they are fighting a guerrilla war against MBC. Recent battles between members of MBC alliances Pandemic Horde and Test Alliance Please Ignore have given rise to rumors that this coalition may be fracturing with success all but in their hands, yet members of both alliances claim that the battles were “all in good fun” - as one Capsuleer put it. Will The Imperium strike back, or will they let it go? Has MBC bitten off more than they can chew and underestimated the Little Bees of the Imperium? Or will this be the end of a storied chapter in New Eden’s history?